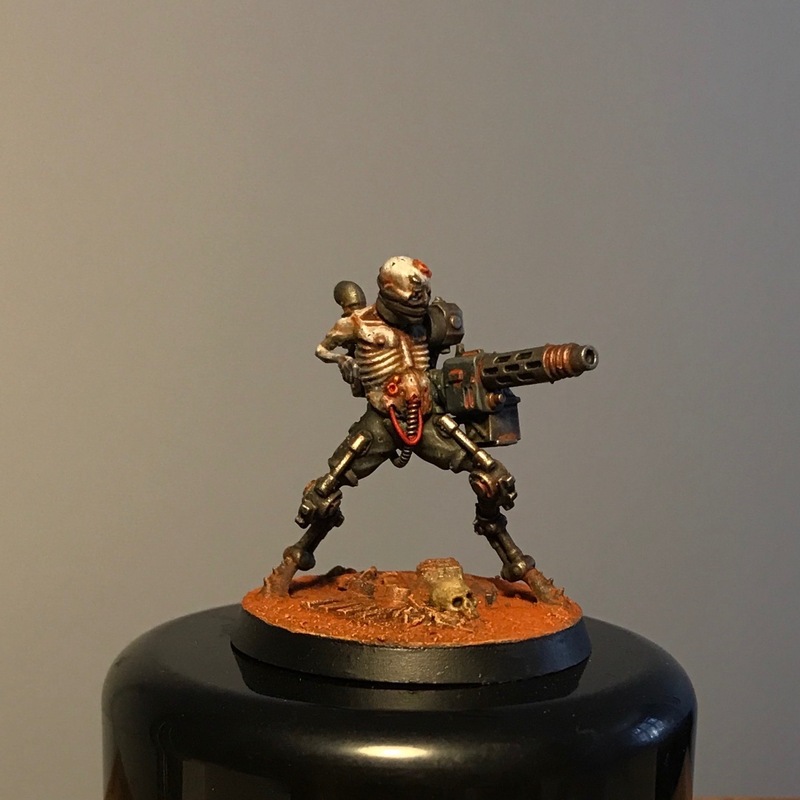 It certainly seems I´ve got my hobby mojo back! Haven´t been this productive in a long time, and though much of this creative energy is focused on the slowly expanding primaris astartes force there´s a back log of finished or semi finished conversions that also deserve some attention. For example this rotstalker for my long gestating plagueborg gang who´s been sitting on my desk for at least a year. This weekend I finally found the inspiration to give it a lick of paint. The plan is to field these guys in the Tor Meggido game in october. The minis has been produced a model here and a model there over a period of about four years but I find them surprisingly cohesive despite of this. Guess my style hasn´t changed that much. Yep - that pretty much sums up what I was aiming for! 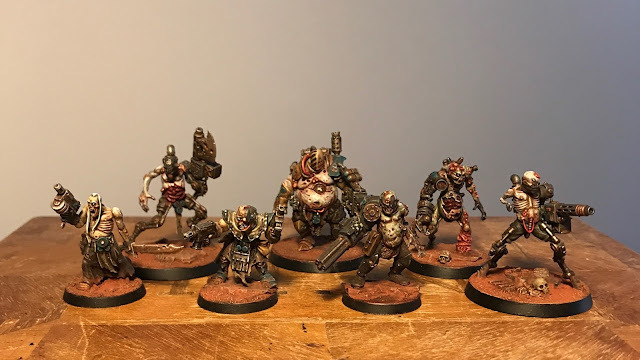 Great to see your hobbying mojo back and the group has a brilliant overall aesthetic. Mate, that teeny arm is a great idea. Always like seeing your Nurgle stuff, glad the mojo's returned. Hehe. Yeah - it screamed out for something twisted and creepy, but I still didn't want to go full on mutant. The vestigal arm was the perfect compromise. 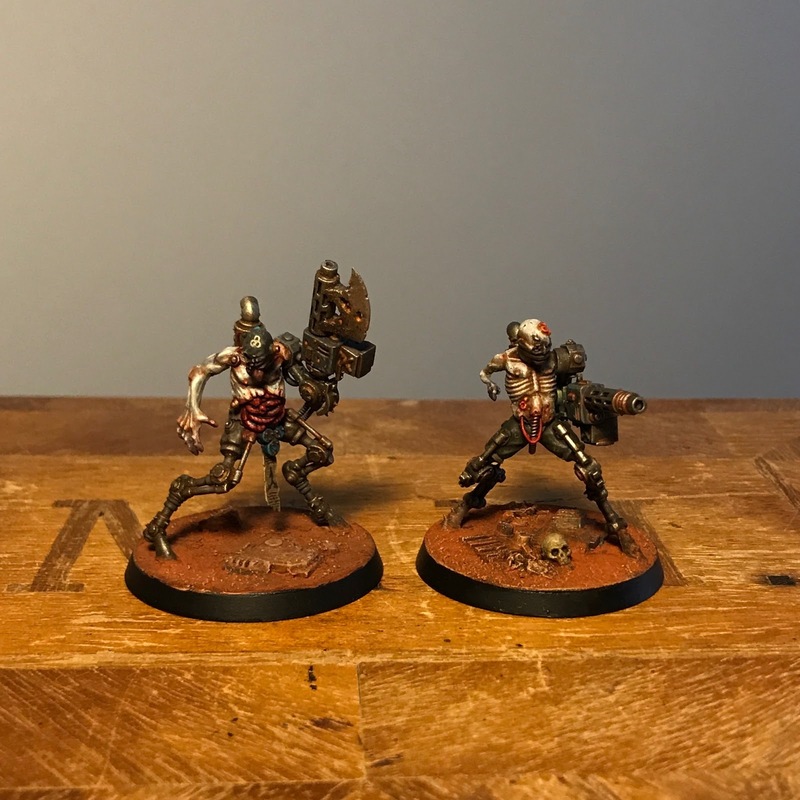 Great looking minis, inspires me to do something creepy and a little gross with some of my spare parts. Keep it up.